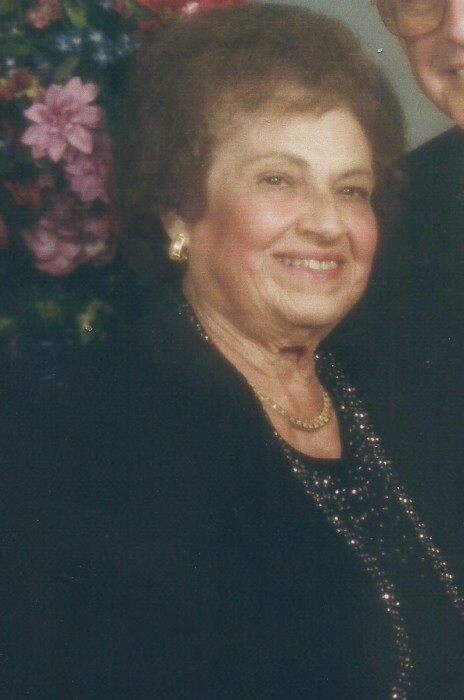 Obituary for Mary Gloria (Marra) Nedley | Baker-Terravecchia Funeral Home, Inc.
Mary Gloria Nedley, age 85, of Uniontown, Pa., passed away on Wednesday December 5, 2018. She was born on Sunday, December, 25, 1932, in Little Summit, Pa. a daughter of Alex and Lucy (Robertella) Marra. Mary was preceded in death by her parents, siblings; Henry Marra, Josephine Marra, Joseph Marra Sr., John Marra and Marguerite Zorosak. She was a member of St. Therese de Lisieux Roman Catholic Church. St. Therese Altar Society and the Choir and Funeral Choir. Mary loved to cook, bake and sing. Left to cherish her memory is her loving husband of 65 years Harry J. Nedley Sr., Children; Harry J. Nedley Jr, and his wife Debra, Mark A. Nedley, Jeffrey A. Nedley and his wife Laura, grandchildren, Amanda M. Christner-McFarland and her husband Matthew, Allison M. Yost, Holly L. Nedley, Kristin M. Nedley, Natalie L. Nedley, Jeffrey J. Nedley; great grandchildren, Derek Christner, Hillary Christner, Luke Yost, Dylan Yost, Matthew McFarland; siblings, Grace Apicella, Anthony Marra Sr., Alex Marra Jr., and a special niece, Connie L. Wilson. Friends will be received in the Baker-Terravecchia Funeral Home, Inc., 71 Pennsylvania Avenue, Uniontown, Pa. 15401 on Sunday, December 9, 2018, from 2-8 P.M. and on Monday, December 10, 2018, until 9:15 A.M. when prayers of transfer will be said. A Funeral Mass will follow at St. Therese de Lisieux Roman Catholic Church in Uniontown, Pa, at 10:00 A.M.
A Parish Wake Service will be held on Sunday December 9, 2018 in the Funeral Home at 3:00 P.M., St Therese Altar Society will recite the Rosary immediately following the Parish Wake Service. The Uniontown Volunteer Fire Department will hold services in the funeral home chapel today at 7 PM. Interment will be held in Sylvan Heights Cemetery, Uniontown, Pa. The family would like to thank Amedisys Hospice Care and the staff of Beechwood Court/SCU.